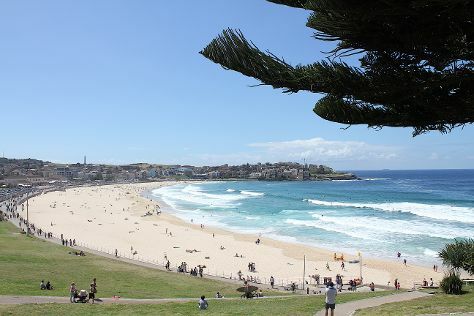 Take a break from the city and head to Muogamarra Nature Reserve and Bondi Beach. The Rocks and Billich Gallery are good opportunities to explore the local culture. Get out of town with these interesting Sydney side-trips: Coachwood Glen Nature Trail (in Megalong Valley) and Pulpit Rock Lookout (in Blue Mountains National Park). Spend the 1st (Sat) wandering through the wild on a nature and wildlife tour. The adventure continues: hunt for treasures at Sydney Fish Market, take a memorable tour with Tours, kick back and relax at Manly Beach, and explore the world behind art at Brett Whiteley Studio. To see reviews, photos, traveler tips, and more tourist information, you can read our Sydney travel route planning website . If you are flying in from Malaysia, the closest major airport is Sydney Kingsford Smith International Airport. In May, daytime highs in Sydney are 24°C, while nighttime lows are 14°C. Finish your sightseeing early on the 1st (Sat) to allow enough time to travel back home.